During your honeymoon or any kind of other holidays in Thailand, adding sightseeing of breathtaking natural sights is certainly a good way of adding some more points in your sweet memories. 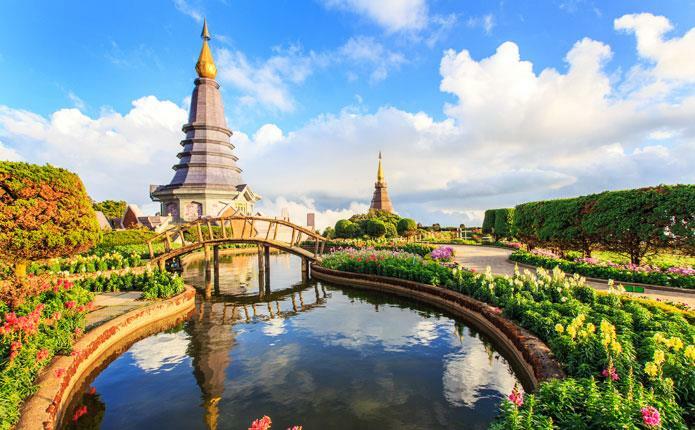 When you plan to book Thailand holiday packages from Mumbai or love to make a Thailand tour package from India with a detailed day to day tour itinerary, you will get a chance to find something classy and wonderful for you to stay busy and enticed. It is the most popular and loveliest in Southeast Asia at the distance of approx 45 minutes distance through speedboat trip or more than one and half hour drive through ferryboat ride from Krabi or Phuket. It is a picture postcard location that has been featuring classic tropical beaches, stunning rock formations and vivid turquoise waters teeming with colorful marine life. 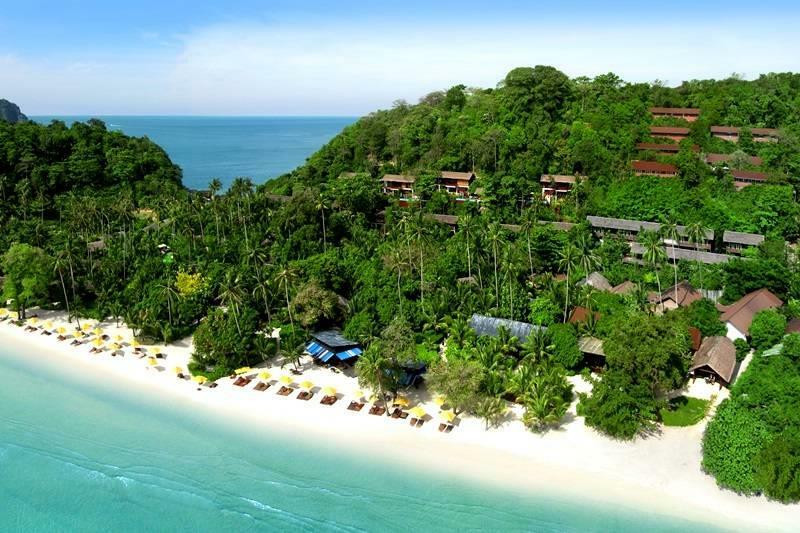 It is a group of six islands where Phi Phi Don attraction a good number of tourists. Spread in the area of 739 square km northeast of Khao Lak at the distance of about 50 km, this wonderful park belongs to the Province of Surat Thani where low mountainous area is covered by the oldest evergreen rainforest in the world. Its central area is wonderful hosting one of the most impressive sites in southern Thailand - the Man-Made Cheow Lan Lake that is contained by Ratchaprapha Dam. The beautiful and picturesque island is at the distance of approx 85 km northwest of Phuket – counted as one of the best island groups in Andaman Sea – for its wonders and clear blue waters. It is also counted as one of the best dive areas in the world with little archipelago that has became a favorite destination for yachts and tour boats. Khao Yai is a UNESCO World Heritage Site that is Thailand's third largest and one of the most visited national parks - spreading across four provinces that include Saraburi (west), Nakhon Nayok (east), Nakhon Ratchasima (north) and Prachinburi (east). The wonderful place is blessed with a lush, mountainous landscape, with fertile valleys, pounding waterfalls and rich biodiversity. Doi Inthanon National Park, the pride of natural beauty, has been consisting of rugged mountainous terrain blanketed by lush tropical forests and dotted with mighty rivers and majestic waterfalls. It is protected and its status makes it a sanctuary for a wide range of animal species and it is perhaps the best place in Thailand for bird watching. 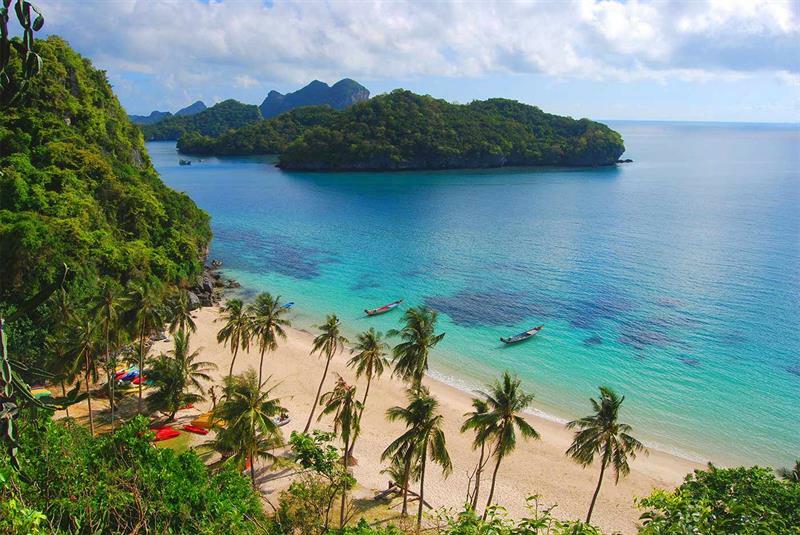 Ang Thong National Marine Park, a pristine archipelago of 42 islands in the Gulf of Thailand with towering limestone mountains, thick jungle, white-sand beaches, fertile mangroves, waterfalls and hidden coves and lakes to explore, is a place to see once in life. It is a protected area of more than 100 square kilometres of land and sea that is counted as home to a rich variety of exotic wildlife and sea creatures. You will enjoy plenty of water sports here that include snorkelling, hiking, sea kayaking, diving, sailing and simply relaxing. 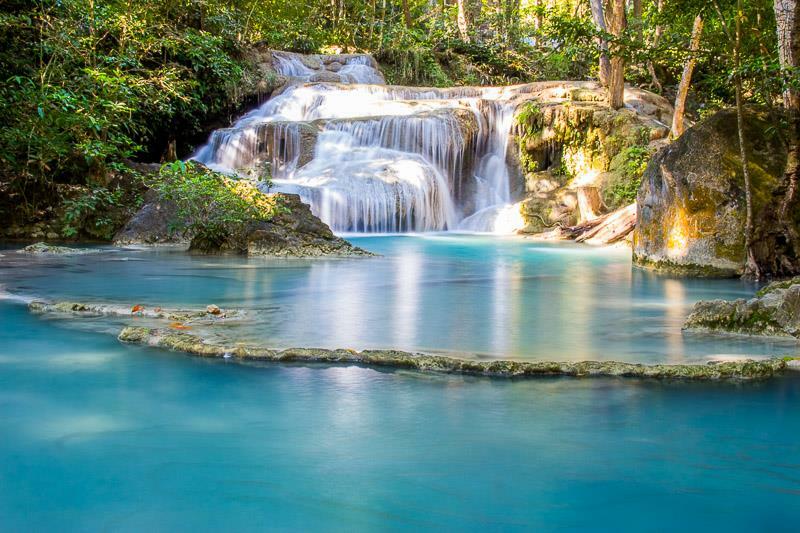 Erawan is a seven-tiered waterfalls – a part of the National Park of the same name covering a pristine area of 550 km² located 40 km northwest of Kanchanaburi Town. The wonderful waterfall has been offering plunge pools, stunning falls, rock formations and the warm humid and mysterious atmosphere of the rainforest. Each step at this waterfall has its own aspect and characteristic to offering you a variety at one lace that include ledge, plunge, horsetail, cascade and different others. Spread in the area of approximate 400 square km and comprising 42 islands and islets, Phang Nga Bay Marine National Park is the pride of naturally rich and breathtaking natural views in Thailand. It is the unique site in the region – sheer limestone karsts that vertically out of the emerald-green water. It is located to the north of Phuket - the bay is protected from both the northeaster and southwest monsoon seasons; where water remains calm all year round. 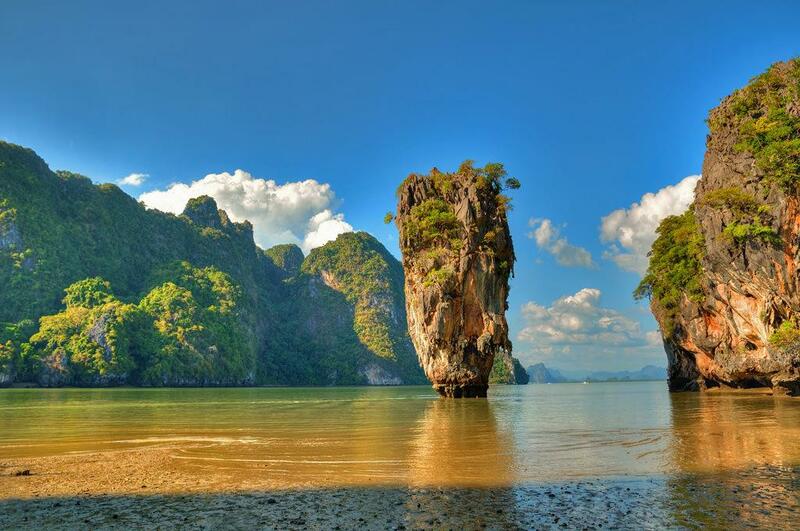 James Bond Island, Koh Panyee, and Samet Nang She View Point are some of the must-visit sites in Phang Nga Bay. It is one of the longest cave systems in Thailand with a total length of 1,666 meters. Located at the distance of approx one hour drive north of Pai in Mae Hong Son Province at the distance of 15 km from border between Thailand and Myanmar, the wonderful cave can be visited on foot or on board a raft. Don't forget to explore it with guided tours to know more about it. It is a wonderful place and without any doubt unknown to visitors that has been standing at a height of approximately 250 meters, a width of 450 meters, and is the largest and tallest plunge waterfall in Thailand. It is located on the Mae Klong River in Tak Province that is just a few kilometres east from the border between Thailand and Myanmar. What often draws attention of tourists is scenery of Thi Lo Su Waterfall that is truly spectacular. Beautifully written article on Thailand's natural sight seeing spots. Enjoy a customized trip to your dream destinations. Choose the number of days of your trip and the adventures you prefer; then we will give you a plan.